This memoir could be subtitled “The Private Lives of Plants,” because paleobiologist Hope Jahren can’t help but wax poetic at times about her chosen field of study, with which she is clearly enraptured. Fortunately, she’s pretty convincing. 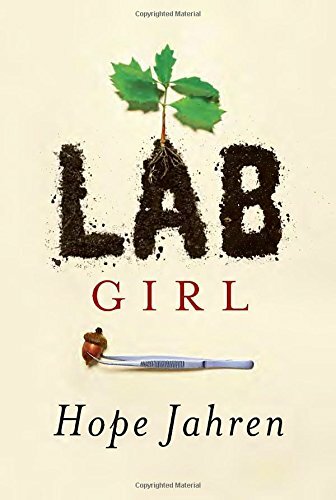 Since my tastes run more toward gossipy tell-alls than science texts, my favorite parts of Lab Girl were Jahren's personal stories of her romance with her husband and decidedly unromantic relationship with her (occasionally homeless but forever loyal) research partner Bill. Amazingly enough, though, I didn't glaze over during the parts about trees and mosses. Jahren is one of those rare scientists able to express her enthusiasm for her subject in a way that translates to the average Jane.